On January 11, 2018, Health Canada released a MedEffect Notice regarding OFEV (Nintedanib), a drug manufactured by Boehringer Ingelheim (Canada) Ltd., which is used for the treatment of Idiopathic Pulmonary Fibroses (a type of lung disease). 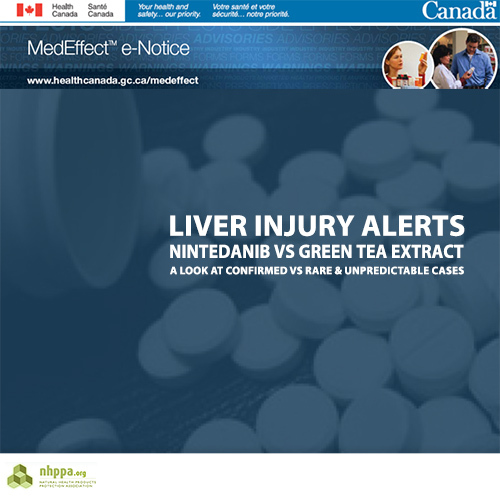 The drug, released October 16, 2014, has been flagged due to risk of Drug Induced Liver Injury (DILI). According to the Alert, as of October 15, 2017 (after 3 years on the market), there have been 32 confirmed cases of DILI worldwide, one of which occurred in Canada. There has also been 1 confirmed fatality caused by the drug.